Being listed on Google My Business (GMB) is an essential part of any local SEO strategy. But how can businesses with multiple locations make sure they aren’t penalized in search rankings? Produced in association with SweetIQ. Google My Business was rolled out in 2014 to make it easier for local businesses to be found via search. It had an added benefit of allowing businesses to stay on top of reviews, and to perform analytics on interactions like clicks, views, calls and requests for directions. In other words, it became the first step in any local search marketing strategy. 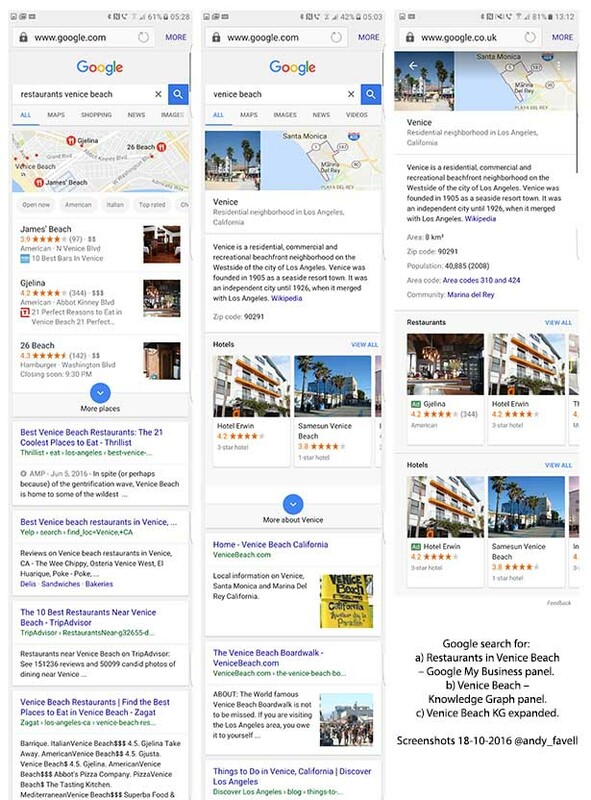 Google’s ‘three pack’ of local search results, which is triggered by search terms with local intent like “restaurants Venice Beach”, is given significantly more prominence than organic results in both desktop and mobile SERPs. In fact, organic results are not even visible above the fold for mobile users. 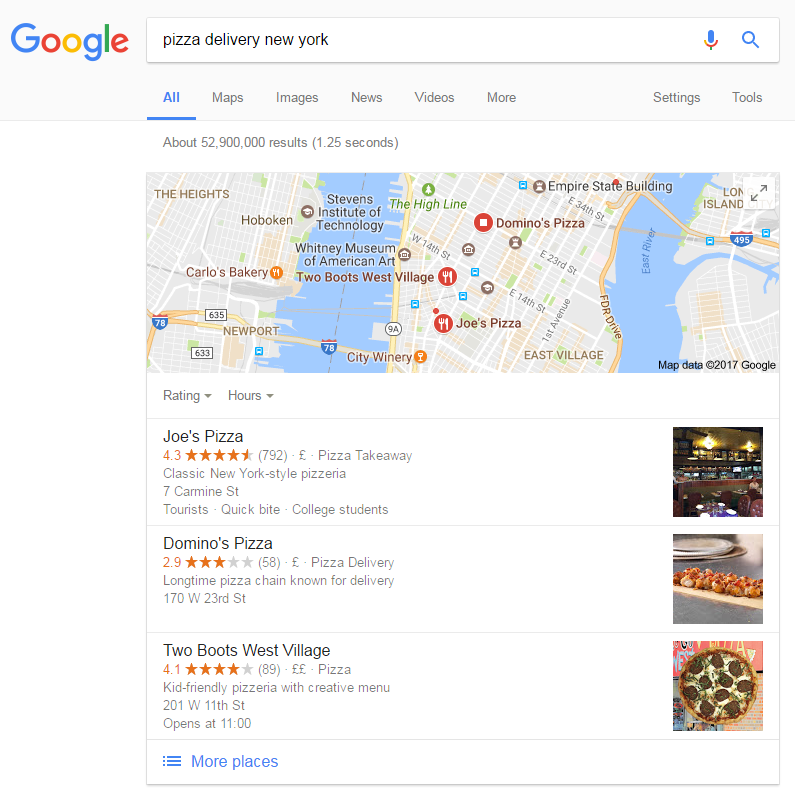 Since Google reduced the number of local results from 7 to 3 in 2015, it has become more important than ever for businesses to feature as high as possible in these results. And with 1 in 3 Google searches now having local intent (according to digital marketing expert Jordan Kasteler) there is more traffic up for grabs than ever. On the flip-side, competition for this traffic is fierce, meaning mistakes can cost you dearly. The Local Search Association estimates that over $10bn worth of potential annual sales are lost because of missing or conflicting information in Google My Business listings. For businesses with multiple locations, this is a real problem; each business location has a unique address and contact details. How can big businesses ensure they aren’t penalized for conflicting information on their Google My Business profile? 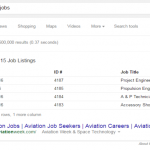 After claiming your multi-location business on GMB, the next step is to optimize your listing. But before you can do this, you must first understand what factors influence your chance of appearing in the local ‘three pack’. The most important of these is accuracy across all platforms. This means making sure every piece of information about your business is consistent across all the websites it appears on, including Yellow Pages, Yelp, Facebook, Foursquare, Apple Maps, Hotfrog and, of course, your own website. Google bots crawl all of these pages and, when encountering information about your business, will compare it to your GMB listing to establish its validity. Any inconsistencies will raise a red flag about the accuracy of your information and will likely lead to your GMB listing being penalized in the rankings. How do you ensure accuracy between your listings? 1. Claim and verify all your locations using a single, unique GMB account. Make sure you delete any duplicate listings or accounts that may have been created by other staff members in other locations. 2. Ensure your business name, address and phone number (‘NAP’) are an exact match wherever they appear. The easiest way to achieve this is to simply copy and paste from your GMB listing. 3. Optimize your store locator on your central website so it’s crawlable by Google. Google considers your website the most ‘official’ source of information regarding your company, so ensuring Google can access it is essential. 4. Use a microsite for each of your store locations. This gives each location a unique reference and separate About page – each with an accurate NAP that Google can crawl. 5. Use a Local Marketing Platform to manage all of this information. It allows you to see what Google sees, and check and edit data for all your store location from a single interface – ensuring complete accuracy across all platform. Most can also provide advice on optimizing store locators for your website, along with detailed analytics on user interactions, traffic sources and more. To learn more about optimizing GMB listings for multi-location businesses, and to understand how to turn GMB data into actionable insights, download the SweetIQ Guide to Google My Business. Content produced in association with SweetIQ. Click here to read our collaborative content guidelines. 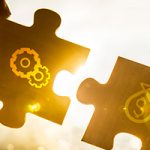 A recent survey carried out by Schema App, a provider of tools to help with implementing Schema markup, has shed some light on the question of why adoption of Schema.org is so low among marketers despite its considerable benefits.